In one of our recent articles we started our analysis of the secondary whisky market by having a look at the different scotch whisky producing regions. As the region of a whisky is defined by the geo-location of the respective distillery it was distilled in, it seems only natural to move a step further and start analysing the differences between those whisky manufacturing institutions. If you happen to own a scotch distillery but cannot find your index, don’t worry. Not all of the distilleries qualify to get their own index. This is simply due to a lack of price observations. In order to calculate an index, we require a minimum of ten different bottles of a distillery for which each bottle offers at least five price observations. You can find the indices of those distilleries who meet the above requirements in our Toolbox or directly by clicking here. These indices are calculated using the same methodology as the region indices. 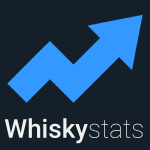 If you are interested in the technical details or want to know why on earth future price changes can affect past index values our About the Whiskystats Indices article should be your next read. Analysing all of these indices at once would be too much. So in the following we restrict our attention to the most obvious observations and tackle the details in our upcoming articles. If you compare the indices of the springbank distillery and the campbeltown region you might wonder why we ask you to look at the same graph twice. In fact, those indices are very similar, since many of the most traded campbeltown whiskies are obviously distilled by springbank. What makes this interesting is that apparently the demise of the campbeltown whiskies wasn’t a campbeltown thing but rather a springbank caused problem. The first thing that comes in mind when looking at these indices is of course to pick out the best performing distillery. And if you do so, you will find two distilleries fighting for this crown. These are Brora and Macallan. In October 2015, both of them are only slightly below the mark of 300. This means, that over the past 10 years, the value of their most traded bottles almost tripled. Even more impressive is that most of this gain in value was observed in the last five years. Whereas for Macallan the maximum of 100 bottles was included to calculate these figures, the Brora index consists of 69 bottles. If there is a top of the list, for sure there is a bottom to it too. So let us have a look at the distilleries with the least impressive price performances. One example could be cragganmore. After a drop to 78 points in January 2013 this speyside distillery managed to end its journey where it began (100 points in October 2015). In the early 1960s, Glenfiddich revitalized (or founded) the modern single malt scotch culture and remains one of the biggest producers today. Nevertheless, the evolution of the glenfiddich index is not quite as impressive as the distillery’s history. With a cometlike increase in the second half of 2008 the all time high was reached with 115 points, and ever since we observe a modest decrease. The last observation is 85 points in October 2015. Can it get worse? Sure! In August 2011 the glenfiddich index dropped to 70.34 points which marks the lowest ever index value of all distilleries! In our report on the Most Extreme Pricechanges of September 2015 we figured out that the top three value losers of that month were bottles from the kilchoman distillery. We observed the first pricechanges of a kilchoman bottle in January 2010. Since that date, the 59 included bottles lost almost a quarter of their value. The highest index value was reached in February 2010 with 103 points. This means, that beside the one year hurray between May 2013 and May 2014, the kilchoman bottles never really gained value. This was our first look at the distillery indices. As they offer great insights and stay updated when new prices are observed, these indices are very likely to accompany us in our future articles. If you find any interesting patterns please do not hesitate to share them and leave a comment! We take a closer look at Bowmore, one of the oldest working distilleries in Scotland. We, of course, focus on the secondary market performances of this distillerie´s products and point out some remarkable single malt whiskies.